Dr Jan Purchase just published an article “Better AI Transparency Using Decision Modeling“, in which he describes several possible ways to provide reasonable explanations to the outcome of machine learning algorithms. Jan without hesitations describes practical limitations of the described approaches. Jan and David Petchey will present two examples of their DMN-based approach to ML explanation at Decision CAMP 2018 that starts on Sep. 17 in Luxembourg. 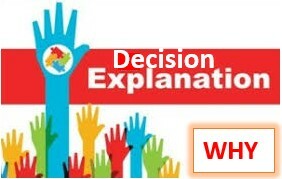 See also our post “Decision Automation and Explanations”. This entry was posted in Decision Modeling, DMN, Machine Learning. Bookmark the permalink.